Scope. This introductory, hands-on workshop will cover the basic steps involved in solving a protein structure by NMR and give participants an opportunity to practice these steps in hands-on sessions led by the NMRFAM staff. Using triple-resonance NMR data collected at NMRFAM on labeled ubiquitin, the staff will guide participants through the following steps of protein structure determination. This workshop is intended to give participants a broad overview of the process of solving a protein structure by NMR so they can begin their own projects. Participants will bring their own laptop computers and will receive an NMRFAM software suite containing a complete set of tools for biomolecular NMR studies that they can take home. This software provides easy access to external servers, websites, and video tutorials. Nevertheless, owing to the complexity of the process, participants may require further assistance to solve a structure on their own. Participants are invited to contact NMRFAM staff following the workshop with any questions or problems. Format. Each section will begin with a short lecture / demonstration followed by a hands-on session in which participants will be given time to perform each step of protein structure determination using data provided by NMRFAM. The staff will be available during workshop sessions to assist participants and answer questions. Participant Requirements. Workshop participants are not expected to have prior experience with basic steps of NMR protein structure determination. The workshop will cover the entire process and each session will build upon the previous sessions. Participants will be given the data necessary to complete each session. For example, processed data will be provided for the peak-picking session, and fully peak-picked data will be provided for the backbone and side-chain assignment sessions. 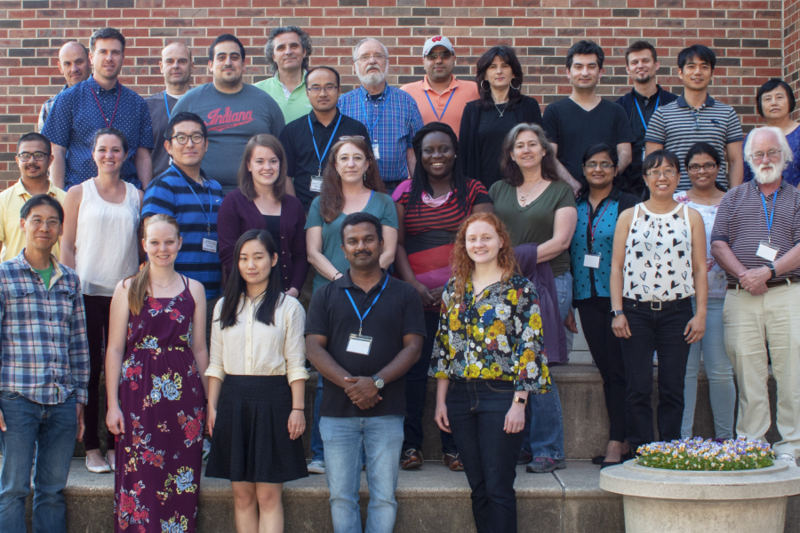 This year’s workshop will utilize NMRFAM’s new Integrative NMR package, which makes biomolecular NMR spectroscopy much more accessible by integrating software tools so that they interact efficiently in ways that support automation, result validation, and data visualization. Also included are links to web services, databases, and video tutorials. Participants will receive these tools pre-installed in a virtual machine that they will load onto their laptop computer (see below). Integrative NMR includes NMRFAM-SPARKY (visual analysis of spectra and chemical structures), PyMOL (visualization of 3D molecular structures), PINE(protein chemical shift assignment), PECAN (secondary structure determination from chemical shifts), RNA-PAIRS (RNA assignment), and PONDEROSA-C/S (NMR-structure determination utilizing XPLOR-NIH/Ponderosa). Integrative NMR utilizes a virtual machine (VM), an emulation of a particular computer system that can be installed and run on all flavors of other operating systems. We use a VM that runs the Linux operating system Ubuntu 16.04 with the MATE desktop. To run this on your computer, you will need to install a VM VirtualBox (Oracle), which is freely available at www.virtualbox.org. Oracle VM VirtualBox is a virtualization software package for x86 and AM64/Intel64-based computers. Supported host operating systems include Mac OS X, Windows XP, Windows Vista, Windows 7 and Windows 8, among others. In order to install VirtualBox, you MUST have administrative privileges on your computer. It is recommended that the computer have 4 GB of memory. The memory and bit size are not strict requirements, but the speed will suffer and make the workshop rather painful. The computer should have ~10 GB of free disk space. Parking. To arrange for parking at NMRFAM during the workshop, or at any campus lodging option, such as Chadbourne Residence Hall, visit UW-Madison’s Transportation Services website, email them, or call them at 608-262-8683 during normal business hours between 8:30 a.m.-4:15p.m. CST, Monday through Friday. Lodging. Several options are available for lodging on-campus or off-campus and we have reserved blocks of rooms at two venues. For details, see NMRFAM Workshop Lodging Options. If you have any questions about the workshop and how to register, contact Lai Bergeman or 608‑262‑3173. We hope you can participate in this popular workshop and become an NMRFAM user!